When you work with me there is no financial risk for you at all. I promise. I know that you want to make changes happen in your life. I know that you are probably sick and tired that things have been the way they have been. And you have probably tried to make changes happen in other ways but in the long term have failed. And now you are here, considering working with me but understandably may be a little unsure about taking that small next step forwards to book your initial consultation with me. Let me make it really easy for you to take that step. It is simple. Easy to understand. No teeny tiny small print. I want you to want to work with me. And if you don’t I want to make it easy for you to find an alternative that suits you better. 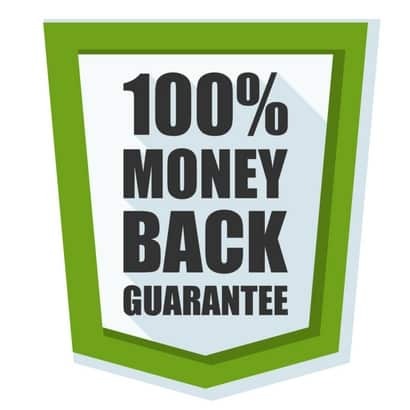 So the money back guarantee says that if you want to stop working with me for any reason then just say so before the end of our first hypnosis session and I will refund all your money, including your deposit. There will be no questions asked. I would even help you to find a therapy or therapist that suits you better if I’m not the right person for you. So there’s nothing stopping you. Fill in the contact form below or give me a call to book your consultation so we can start identifying what we can do to get you to where you want to be.